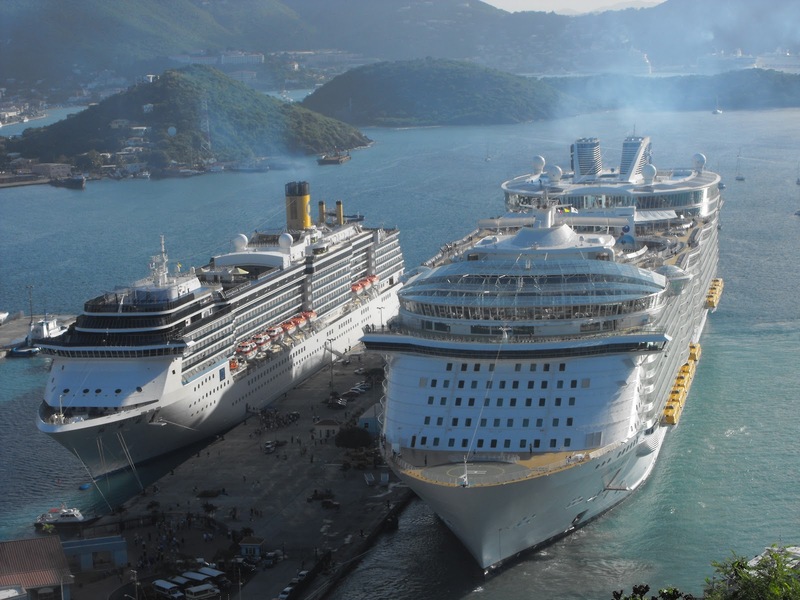 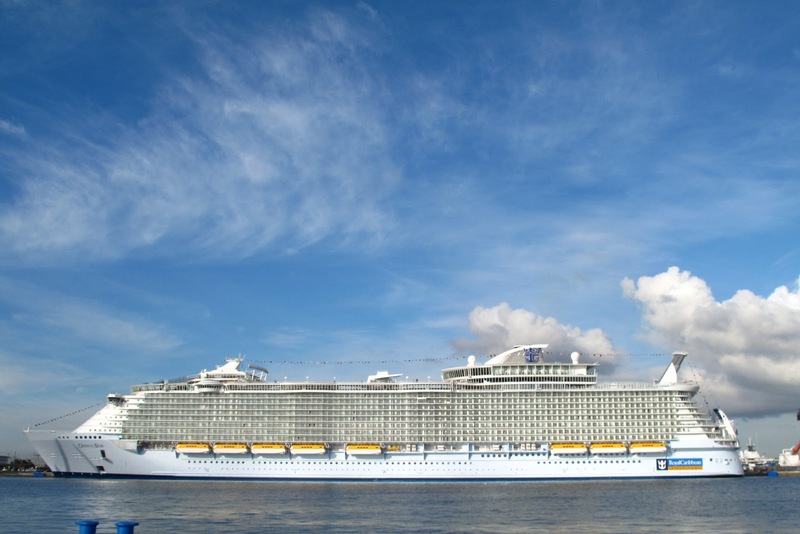 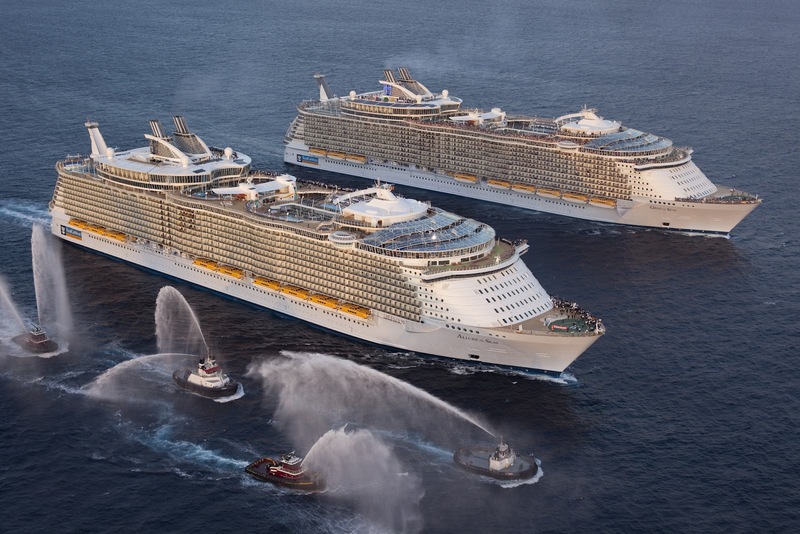 With its 220,000 gross tonnes, Oasis of the Seas, the world's Largest cruise ship , is approximately 40 percent larger than any other cruise ship in the world. 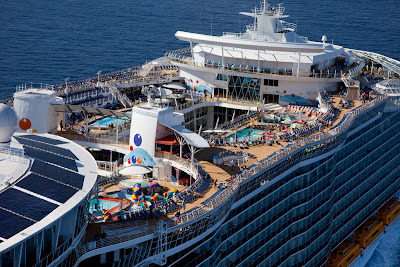 It has three large swimming pools, 10 spa baths and surf-simulation facilities among its many activities and features. 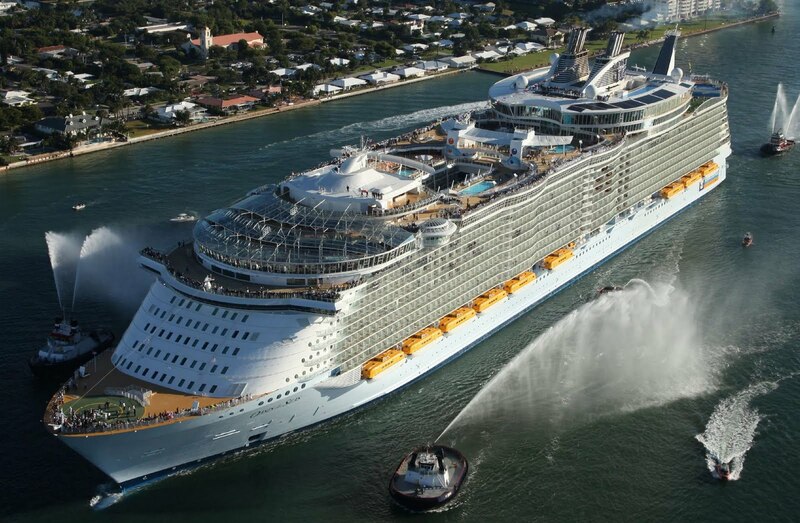 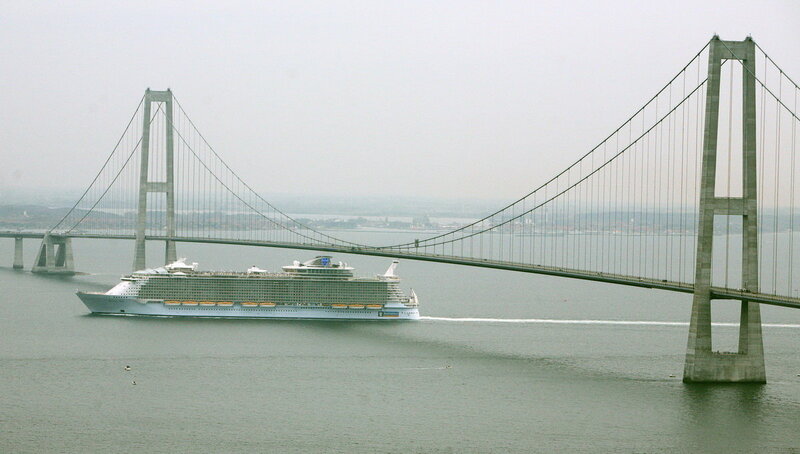 Oasis Of The Seas is 1,184 feet long and more than 226,000 tons. 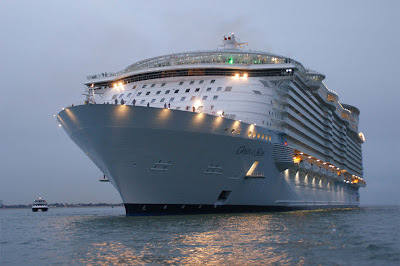 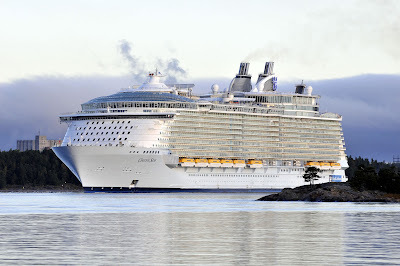 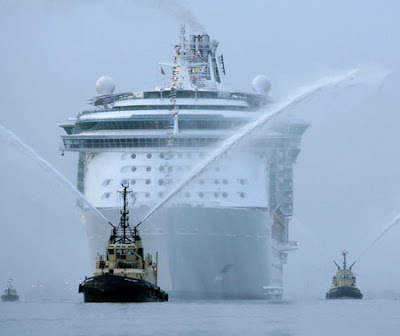 The 6,360 passengers ship with a crew of 2,160 cost 1.5 billion dollars (900 million euros) to make. 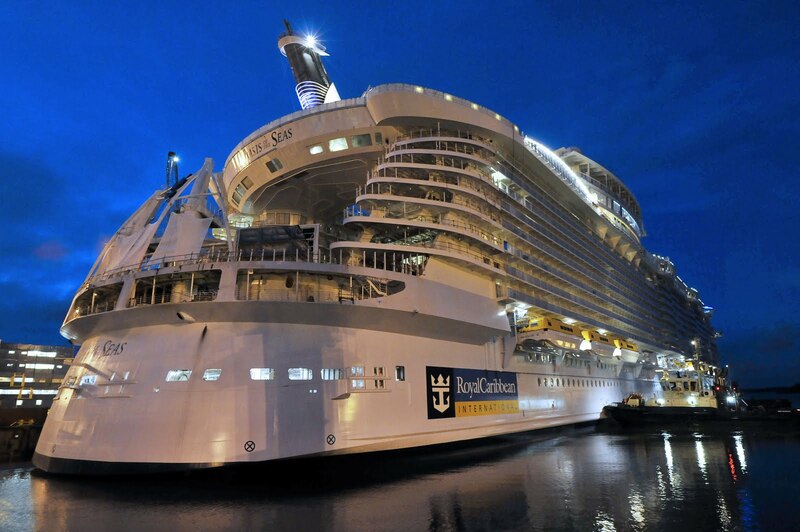 It is 230ft longer than the Titanic. 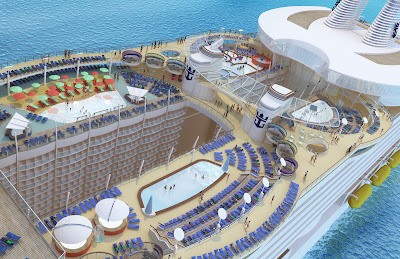 The pool of facilities offered by this princess includes a 2,000-seater dining room, a choice of an ice rink, a 1,350-seat theatre, a surf simulator and a nine-hole miniature golf course. 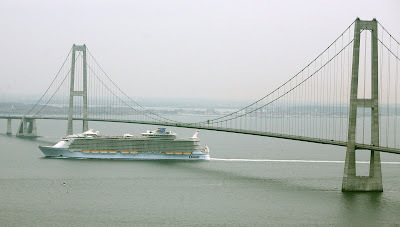 Oasis of the Seas is 16 decks high, or 65 metres (213 feet) above the waterline, and measures 360 metres (1,180 feet) long and 47 metres (154 feet) wide - setting the world records for the Largest cruise ship and the Most expensive cruise ship. 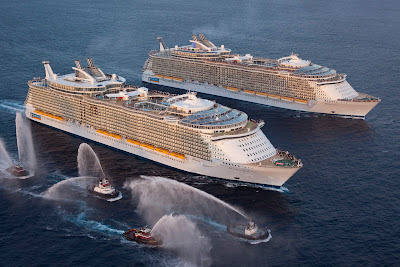 There's an open-air Central Park, Boardwalk, the Royal Promenade, Pool and Sports Zone, Vitality at Sea Spa and Fitness Center, Entertainment Place and Youth Zone on Royal Caribbean Oasis Of The Seas.